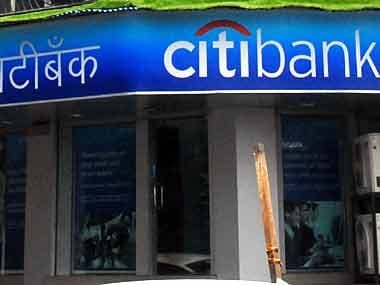 US banking firm Citigroup has launched the Asia-Pacific leg of its corporate accelerator programme in India, wooing start-ups and developers to build technology solutions that could help the banking giant andits partners navigate the shifting trends in the banking industry. The global banking industry, led by countries such as India is undergoing a fundamental shift. Hundreds of millions of new users are getting access to banking with initiatives such as zero balance account, electronic know your customer (eKYC) verification through Aadhaar, and payment banks that will allow customers to do small transactions. Mobileoperators such as Vodafone and Airtel, mobile payment solutions firms such asPaytm are already offering services such as transferring money and paying for e-commerce and taxi transactions. Most users are also using smartphones as the device for banking transactions. Globally Citi, through its two-month accelerator programme named the Citi Mobile Challenge, is expecting around 1,000 developers in the region to build solutions that potentially could be deployed globally. In similar programmes in Europe, West Asia and Africa, US and Latin America, Citigroup has been able to get 24 ideas that it could pilot solutions in its operations globally, Aditya D Menon, managing director of Global Digital Strategy for Citicorp Services said. In India, Citi has partnered with firms such as Google, IBM, Amazon Microsoft Ventures, PwC, Wipro and Nasscom's 10,000startups programme. Finalists will get cash rewards, mentoring, office spaceand technology help in terms of using cloud infrastructure to host applications. "This is the first time we're opening up APIs. We're actually going to allow APIs to be opened up for solutions to be built," said Kartik Kaushik, Country Business Manager, Global consumer Bank, Citi India.